On November 8, 1691, the Lords Proprietors issued a commission and two sets of instructions to Philip Ludwell as Governor of Carolina. He arrived in Charles Town on Saturday, April 9, 1692, and presented his commission to the public on Monday, April 11, 1692. On that same date, he read aloud a letter from the Lords Proprietors that they had recalled Seth Sothel, that he was no longer to serve as governor, and he was to travel immediately to London to meet with them. Ludwell served until November 29, 1693. Click Here to read the commission and the two sets of instructions (one private) given to Governor Philip Ludwell. Colonel Philip Ludwell, brother of Thomas Ludwell, lived at Richneck, in James City County, near Middle Plantation. He came to Virginia about 1664 and soon rose to prominence, becoming one of the Green Spring faction of Berkeleyites. His intimacy with the governor appears from the fact that he married (as her third husband) Berkeley's widow, Lady Frances, who had abetted her husband, the governor, against the English commissioners in 1677. Philip Ludwell was Secretary to Governor William Berkeley. He was a member of the colonial council during Bacon's Rebellion and took an active role, gaining distinction by his daring capture of Giles Bland and Capt. Carver. Ludwell was of a hot temper, "rash and fiery," and was excluded from the council in 1679. He became governor of Carolina, 1692-1693, returned to England afterward, and died there in relative obscurity during 1716. In 1691, the Lords Proprietors appointed Philip Ludwell as governor of all Carolina, headquartered at Charles Town, with a Deputy Governor for the northern part of the colony - the beginning of the division of the province into North and South Carolina, though not so called at this point in time. Thomas Jarvis was the first Deputy Governor, residing in Albemarle County. Philip Ludwell, was an energetic and honest man. By the exercise of wisdom and justice, he soon restored order and good feeling in the colony. He was succeeded by other honorable men, among them the good John Archdale, a member of the Society of Friends, who came in 1695 as governor of the colony. His administration was a blessing. The people of Carolina, over whom he ruled, were almost as free in their opinions and actions, as the air they breathed. About the same time Philip Ludwell, a gentleman from Virginia, being appointed governor of Carolina, arrived in the province. Sir Nathaniel Johnson, who had been general of the Leeward Islands in the reign of King James II, being created a Cacique of Carolina, after the Revolution retired to that country, and took his seat as a member of the Executive Council. The Lords Proprietors having found the Fundamental Constitutions disagreeable to the people, and ineffectual for the purposes of government, repealed all their former laws and regulations, excepting those called Agrarian Laws, and sent out a new plan of government to Mr. Ludwell, consisting of forty-three articles of instruction, for the better management of their colony. The inhabitants, who had been long in a confused and turbulent state, were enjoined to obedience and submission. Liberty was granted to the representatives of the people to frame such laws as they judged necessary to the public welfare and tranquillity, which were to continue in force for two years, but no longer, unless they were in the meantime ratified and confirmed by the Palatine and three more of the Lords Proprietors. Lands for the Caciques and Landgraves were ordered to be marked out in square plats, and freedom was granted them to choose their situation. Hitherto the planters remained utter strangers to the value and fertility of the low lands, the swamps were therefore carefully avoided, and large tracts of the higher lands, which were esteemed more precious, were surveyed, and marked out for estates by the provincial nobility. During the early period of its existence Albemarle County was administered by governors and presidents who were independent of those on Ashley River (in South Carolina). Not until the appointment of Philip Ludwell, in 1691, was the executive power in all the "counties," or really in the two provinces, united into one. For the preceding two years, Ludwell had been named governor of Albemarle, but he never actually took that office because John Gibbs seized control of the governorship by citing a specific portion of the Fundamental Constitutions providing for the eldest Landgrave or Cacique in the colony to be first in line for a vacant governorship. At the beginning of that period the two parts of the province began to be known respectively as North and South Carolina. On the death of Harvey, in 1699, Henderson Walker was elected President of the Council. By virtue of that office he became Acting Governor, and continued such till his death in 1704. The appointment of Deputy Governors was then resumed, and continued until 1712. Then, Colonel Thomas Pollock was elected President of the Council, and brought the province to the close of the Tuscarora war. 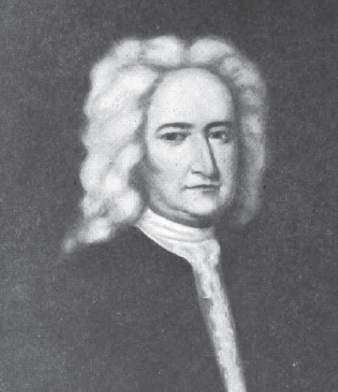 Pollock was again President of the Council for a brief time in 1722. But, with that exception, North Carolina had distinct governors of its own after 1712. When Sir William Berkeley died in London in the summer of 1677, Lady Frances Berkeley inherited all his estates and became the wealthiest person in all the southern colonies. She was mistress of the Greenspring estate; she owned great tracts of land in northern Virginia and the Albemarle (North Carolina) settlements, and she was now one of the eight Lords Proprietors of the Carolinas. Her brother, Alexander Culpeper, an onhanger of the court of King Charles II, drew a large income from the sales of lands in America, and her cousin, Lord Thomas Culpeper, was soon to assume the overlordship of Virginia. Meanwhile, Virginia Governor Herbert Jeffries, with mandates from King Charles II, was trying to restore harmony among the terrorized Virginians. He was ignored and denounced by Lady Frances Berkeley, and the majority of the council, led by Philip Ludwell, treated the new governor so badly that he took up his residence with Thomas Swann, a southside opponent of the emerging north-central Virginia aristocracy. Lady Berkeley assumed a leadership of the Virginia gentry which was hardly less effective than the governorship itself. For a period of three years she exercised an influence with the council and the burgesses. Although in 1680 she married Philip Ludwell, a third wealthy husband and president of the council, she remained "Lady Berkeley." Her Ladyship was well known at Whitehall, and in 1691, she and her third husband became governors of the emerging aristocracy in Carolina. On December 28, 1689, Edward Athy, aged 14, was sent to be an apprentice to Philip Ludwell. In December of 1690, there is a report on a petition that John Totton was suing Philip Ludwell. The southern settlement, Charles Town, which later became known as Charleston, was the principal seat of government for the entire Province, though due to their remoteness from each other had operated more or less independently until 1691 with the appointment of Philip Ludwell as governor of both areas. From that time until 1712, the northern and southern settlements were under common government. The north continued to have its own Assembly and Executive ouncil, the Governor resided in Charles Town and appointed a Deputy Governor for the north. During this period, the two began to become known as North Carolina and South Carolina. 1689. Proprietary commission to Philip Ludwell, governor of Carolina north and east of Cape Fear: North Carolina Records, i. 360. 1689. Proprietary instructions to Philip Ludwell, governor of Carolina north and east of Cape Fear: North Carolina Records, i. 362. 1691. Proprietary commission to Philip Ludwell, governor of Carolina North Carolina Records, i. 373. 1691. Proprietary instructions to Philip Ludwell, governor of Carolina: North Carolina Records, i. 373. 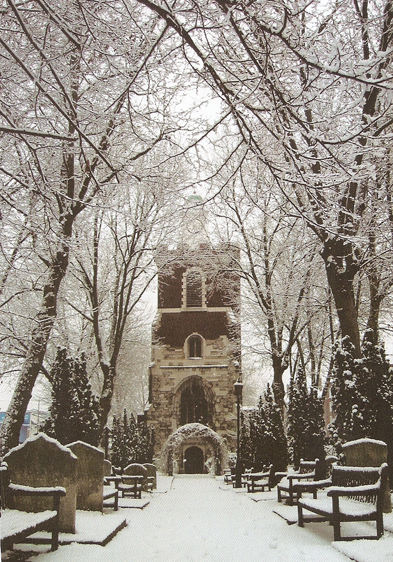 Philip Ludwell was buried in eastern London at St. Mary, Bow Church, in the parish of St. Mary & Holy Trinity, Bow. This information provided in July 2009 by Mrs. Sheila Rawlins, as can be seen in the attached. Click Here for June 7, 2009 brochure. Click Here for June 21, 2009 brochure. Thank you Mrs. Rawlins. Click Here for information on the Executive Council under Governor Philip Ludwell.